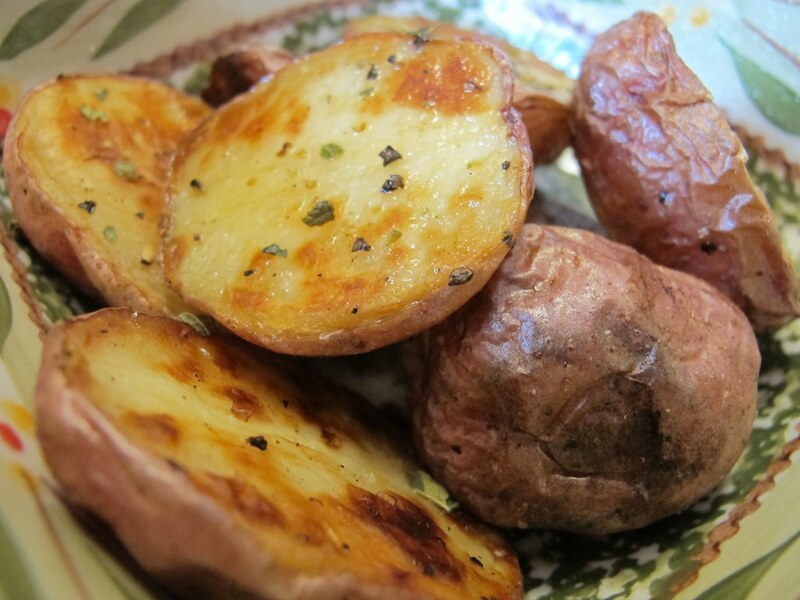 Roasted potatoes are so simple to prepare that I almost felt guilty posting about it. I, like most people I’m sure, know the concept – use potatoes, olive oil, salt, and pepper. However, how much olive oil do I use? What temperature do I set my oven? How long do I cook them for? These were all questions that I had and I thought maybe others did too which is why I decided to post about these delicious potatoes. Ina Garten to my rescue! She gave me all the answers I needed and I in turn hope I can help you. Wash the potatoes well and cut them in half. 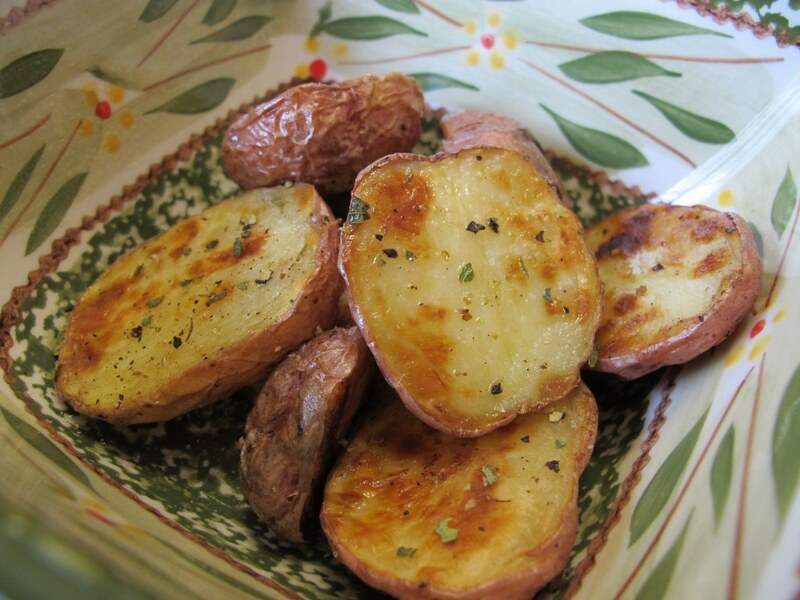 In a large bowl, mix the potatoes, olive oil, salt, and pepper until the potatoes are well coated. 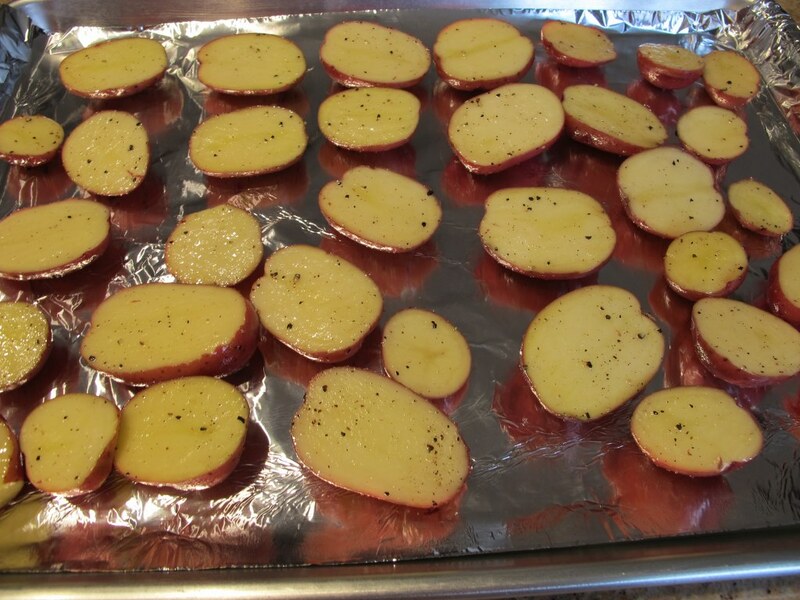 Transfer the potatoes to the baking sheet and spread out into 1 layer. 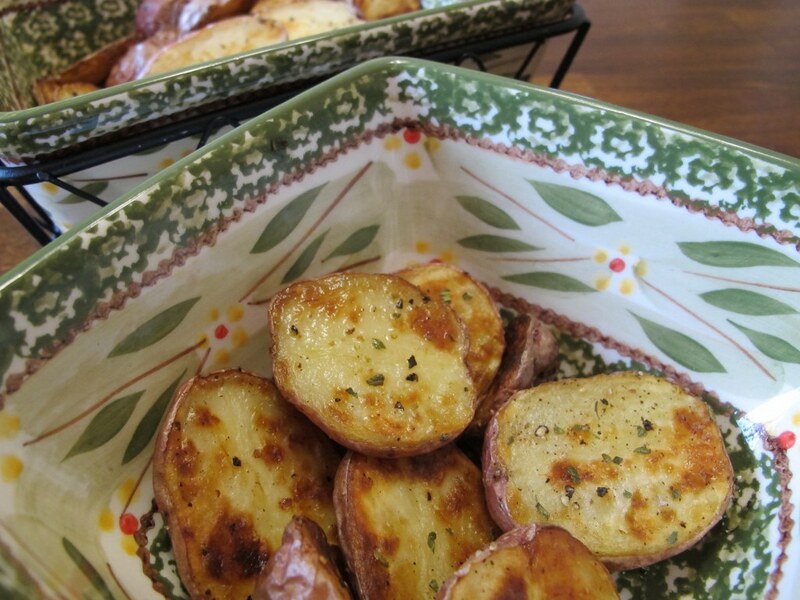 Roast the potatoes in the oven for 40 minutes to 1 hour or until browned and crisp. Flip once during cooking time in order to ensure even browning. Remove the potatoes from the oven, season with additional salt and pepper if necessary (to taste). Serve hot. Serve immediately. Store leftovers in an air tight container in the refrigerator. Cut the potatoes in half and mix them with the olive oil, salt, and pepper. Transfer the potatoes to the baking sheet and cook. Honestly you can’t get more simple and quick than that! I like to place all of the potatoes facing the same direction on the baking sheet because when I turn them over (half way through the cooking process) I know which ones I’ve turned over. And that’s it! I seasoned these bad boys with additional pepper and a dash of oregano. In this case less is more because with just three everyday ingredients, basic potatoes turn into a tasty dish. They are slightly crunchy on the outside and tender on the inside, a perfect combination of textures.